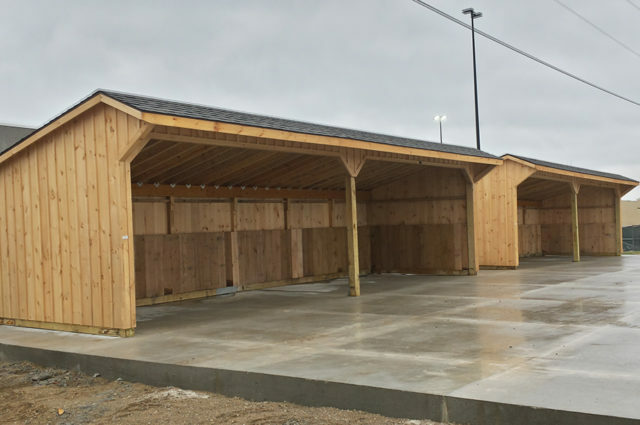 These two 12’x36′ run-in barns with 3′ overhang serve as a hitching barn for a commercial store in Goshen, Indiana. The barns were proudly manufactured at Appalachian Woodcrafts, in Mill Hall, PA utilizing the finest Easter White Pine siding. 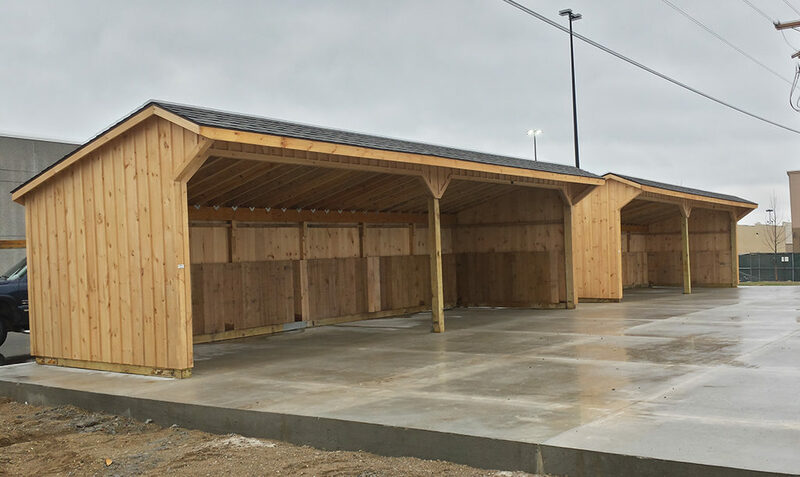 These barns sport a 3′ overhang to protect your horses and customers. These functional barns were custom made to serve as the buyers “hitching barns” for their customers. The run ins sport a 3′ to further protect the customer’s horses. These barns were specially anchored into a concrete pad according to commercial engineered specifications for added safety.